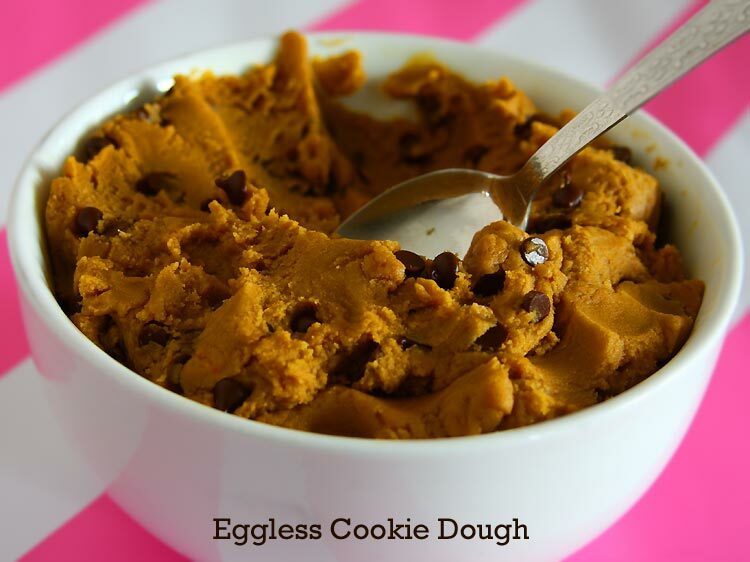 Have you heard about edible cookie dough or eggless cookie dough? Ever wondered what it is? 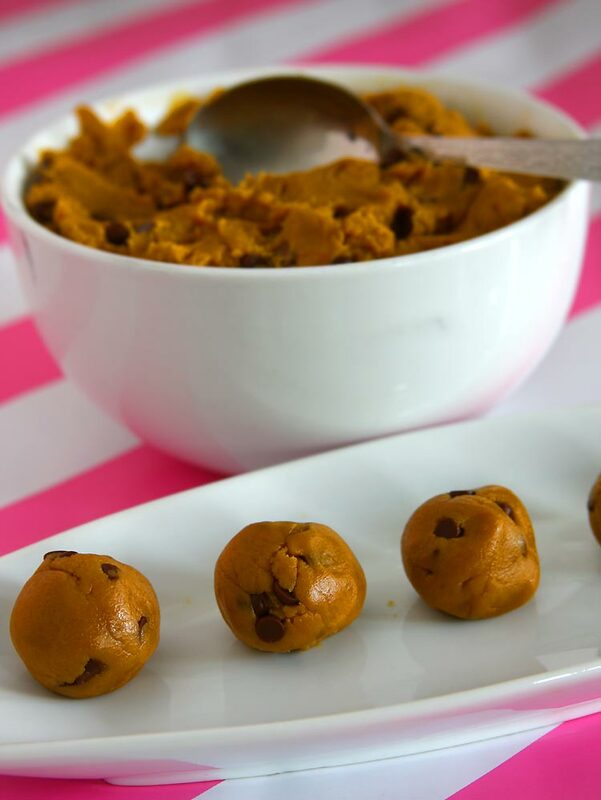 I’m that sure many of you would have come across cookie dough flavor in ice-cream or cookie dough truffles or even cookie dough fudge. I have always been intrigued by it and have thought how to make this cookie dough from scratch at home. One of the pros of me baking egg free is that all my cookies are always egg free, so any cookie I make starts with an eggless cookie dough. 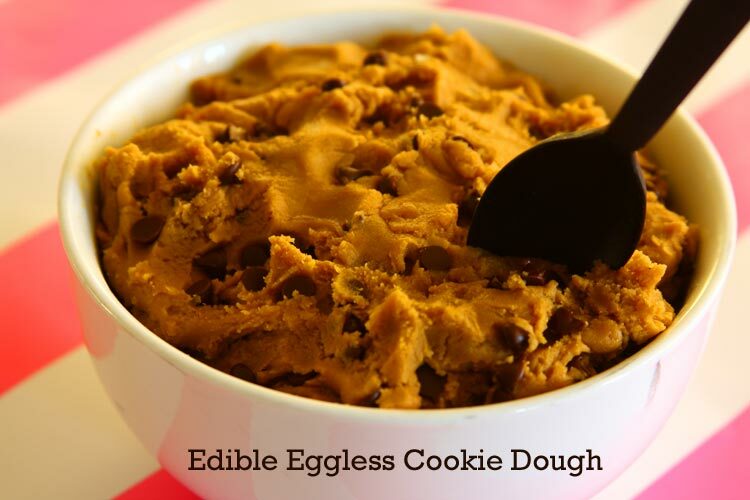 The difference between that eggless cookie dough and this edible cookie dough is, the former can be baked into cookies but the later cannot be. Also because the sole purpose of this cookie dough is to be eaten raw, eggs are not used too, as we all know that consuming raw eggs in any form has the risk of salmonella. Now in this recipe let’s see how to make chocolate chip cookie dough because that’s the most popular and the best cookie dough that everyone prefers. 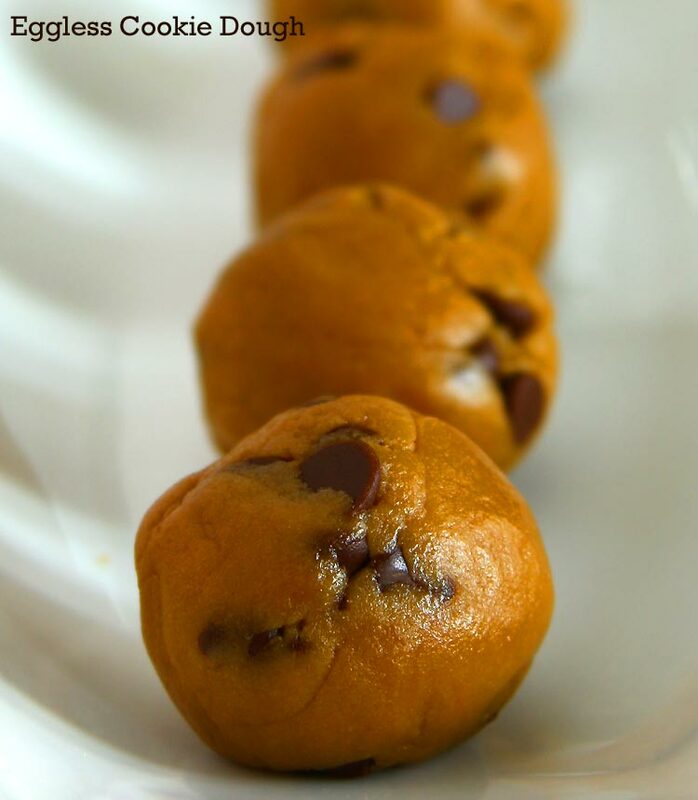 I did browse a couple of websites for egg free and edible chocolate chip cookie dough recipe and narrowed down to few recipes and from there came up with this easy cookie dough recipe. Even a baking novice can make this in no time because it is that simple and doesn’t involve any sort of baking or even cooking for that matter. 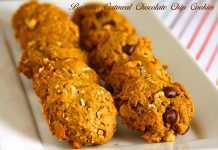 The result is a no egg, safe to eat cookie dough that can be made in no time. This cookie dough can be stored in the refrigerator in an air tight container for about a week but keeps well in the freezer for at least 2 months. I’m going to make chocolate truffles using these egg free cookie dough balls. Covered with melted chocolate and topped with a variety of sprinkles, it is going to taste out of this world. Stay tuned! Want to know how to make cookie dough without eggs? Here come’s an easy no egg cookie dough recipe which tastes absolutely delicious either on its own or in super fancy desserts. In a large bowl cream together the butter and sugars until light and creamy. Add the milk and vanilla extract and beat well again. 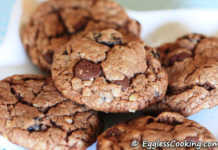 Add the chocolate chips and mix together until spread evenly throughout the cookie dough. It’s been a couple of years since I switched to coconut palm sugar from brown sugar. 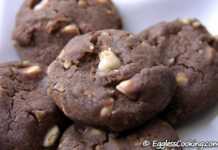 So even in this basic cookie dough recipe I used coconut palm sugar which actually is darker in color than brown sugar and gives a darker shade to the cookie dough. But if you prefer to have a whiter cookie dough you may choose to add less coconut palm sugar and more white sugar keeping the overall measurement of the sugar the same. You can also divide the basic cookie dough into 2-3 portions before adding in the chocolate chips and mix mini M & Ms, peanut butter chips, crushed Oreo cookies, mint chocolate chips etc to get a variety of cookie dough. Previous RecipeJust Like Starbucks Banana Bread! I added more flour it doesn’t seem right in texture…any help appreciated. Maybe too much milk. Hmm..I didn’t have any issues with the consistency of the dough. Did you by any chance increase the quantity of butter or milk? what if I don’t have palm sugar can I use brown sugar instead? Yes you can Karen. Better use white sugar so that you will get a white color cookie dough.